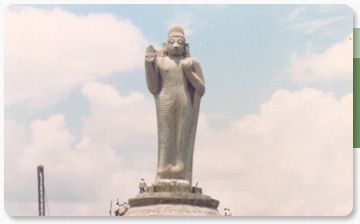 Details:	The Lord Buddha statue is carved out of monolithic granite, and weighs a mammoth 300 tonne. 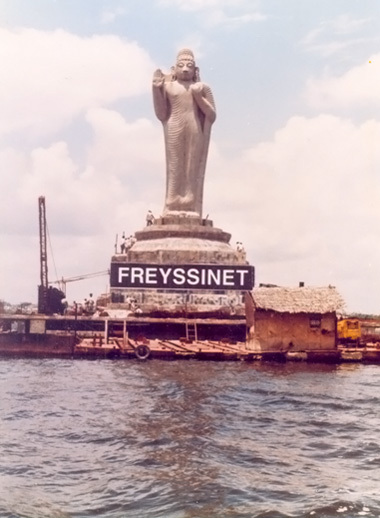 Challenge: The statue had sunk in the Hussainsagar Lake in Hyderabad. It had to be salvaged and resurrected. 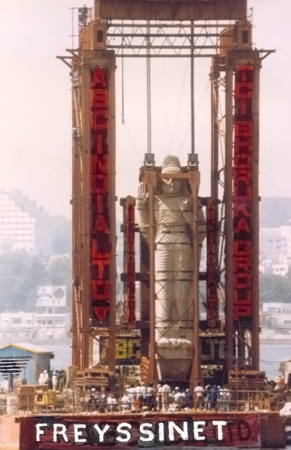 Solution:	The statue was salvaged and erected on its pedestal on Gibraltar Rock. Two lifting cables of 44 strands of 12.7 mm diameter were used in conjunction with a special cables and anchorage system. The hydraulic jacking system was mounted on top of towers and operated with a common power pack. The entire operation was completed in 32 hours flat!